Though a pharmacy’s front-end sales may appear minimal in comparison to prescription sales, front-end contributions cannot be overlooked because they play a role in total profits. Front-end sales can come from the product categories of OTC, health and beauty, wellness, and general merchandise. When a customer picks up a prescription from the pharmacy, staff should be open to suggesting a companion product for the shopper, if appropriate. 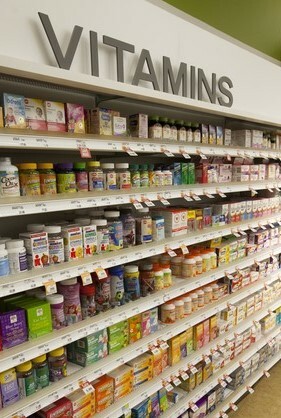 Suggestive selling involves the pharmacist or staff member mentioning a companion product, rather than the customer seeking out product information. A 2013 study by Hamacher Resource Group, Inc. found that 41% of pharmacists surveyed (with more than 600 participating) made only one to five OTC product recommendations each day. Since pharmacists are likely to be trusted by their customers, you should remember to offer a helpful OTC or companion product suggestion. By offering recommendations, pharmacy staff can often provide beneficial health solutions, while gaining a product sale. You may have to get creative to encourage prescription customers to shop for additional merchandise. The customer who regularly picks up a prescription refill can be the optimal customer for OTC items, such as pain relief and nutritional products. The pharmacy should be ready to offer convenience and fast checkout for the impulse shopper, as well affordable options on everyday essentials for those with a shopping list. Store displays and product layouts should be as customer-friendly as possible. During shelf placement, items that are commonly purchased together should be positioned close to one another, such as putting cold/allergy medications with pain relief medications. Retail planograms are available that have been specifically designed for pharmacies. Planograms are diagrams that visually depict how products can be optimally organized and displayed on store shelves. Using planograms can help you design a layout that encourages customers to shop and allows them to find items more easily. Growing front-end sales often requires advertising. This is where a look at sales data can be helpful. POS data tells you the times of the year and even days of the week when your store is making its highest sales. This information can then be used to create targeted advertising plans to benefit business. The data will also deliver insight into the OTCs, health care and personal care items that are making the greatest contribution to merchandise sales, such as pain relief, vitamins, first aid, skin care, diabetes products, eye care, and so on. What are my high-margin products? How many convenience products should I sell? What types of food and beverage should I sell? What high-margin products belong in my high-traffic areas? Can some high-margin products be featured at the front counter? Look at your data, talk to your team, and let front-end sales contribute more to your pharmacy profits this year! Also remember that Real Value Rx delivers profit-building strategies for our customers. Call us today at 1-855-681-7201 to learn more.